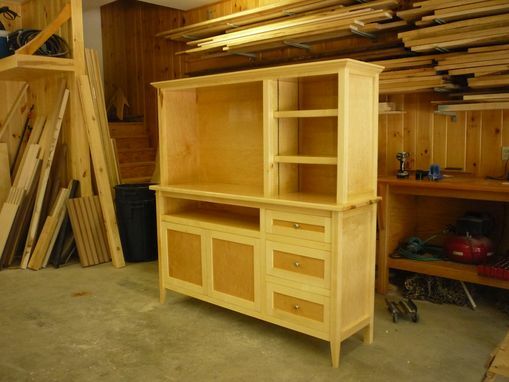 Maple entertainment center with space for television, dvd player, cable/satelite box and books or dvds. Drawers and cabinet with doors also included. Cost depends on type of wood required.